people what your idea is all about. You should be confident about what you want to do . pay for having your independence. 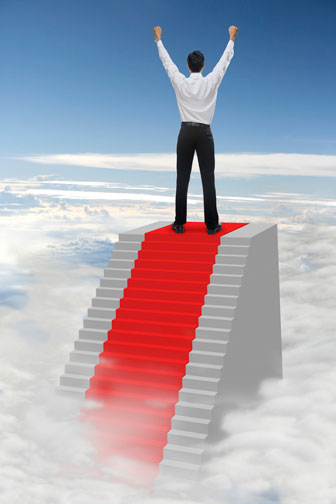 business mindset and identify critical success factors for starting their own business venture. Your Business is the course for you. Get more information, click here. She is an entrepreneur, who never loses heart. Rashi Mehta, Batch 08, participant of the Start Your Business (SYB) program from SP Jain, refuses to let anyone dissuade her from her ideas. Her own entrepreneurial mantra is, “Never be afraid to think big. When we build, let us think that we build forever. Don’t ever stop learning. The day you stop, your organization dies.” She was a costume designer for films and television shows for 2 years before she started her own business. She is a qualified fashion designer. Prior to her course at SYB, Rashi already had a business of manufacturing, exporting and designing of corporate apparel and gifting. Her venture now takes this concept further by specially catering to the branding and promotional needs of clients. Her company, which goes by the brand name Equos Design Studio, is a young and energetic one, incorporated with the sole intention of offering clients whatever they need for their promotions. “This strong intention is backed by quick response, smart suggestions, prompt service and best prices. And all this is possible because of effective and talented managerial staff,” says Rashi about her USP. Equos Design Studio also makes it simpler for the client to choose, by not offering too many options and confusing them. “We suggest the best products that suit a company’s image and go well with the budget. With in-house engineering, manufacturing and imprinting facilities, we are always in the forefront with quality and design,” adds Rashi. 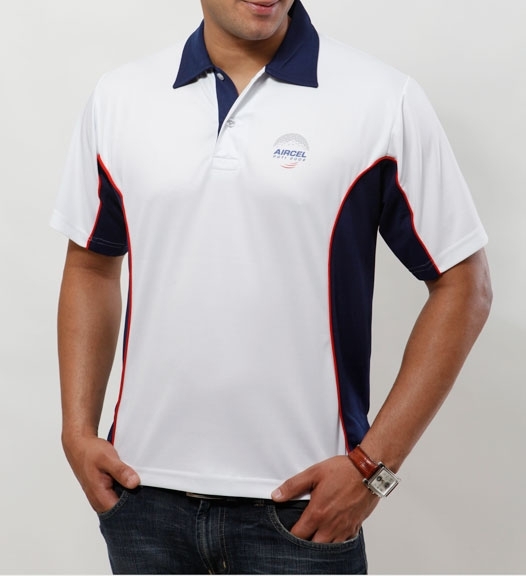 Equos provides customized merchandise like t-shirts, caps, bags and school uniforms. Medical wear, blazers, suits, staff uniforms, hospitality uniforms, key chains, coasters, sipper bottles, lanyards, pens, trophies, mementos and other gift articles are also designed and manufactured by Rashi’s firm. Equos prides itself on the use of various printing and embroidery techniques, making the product more durable, feasible and attra ctive. Equos also provides competitive rates and timely deliveries, a feature they pride themselves on. 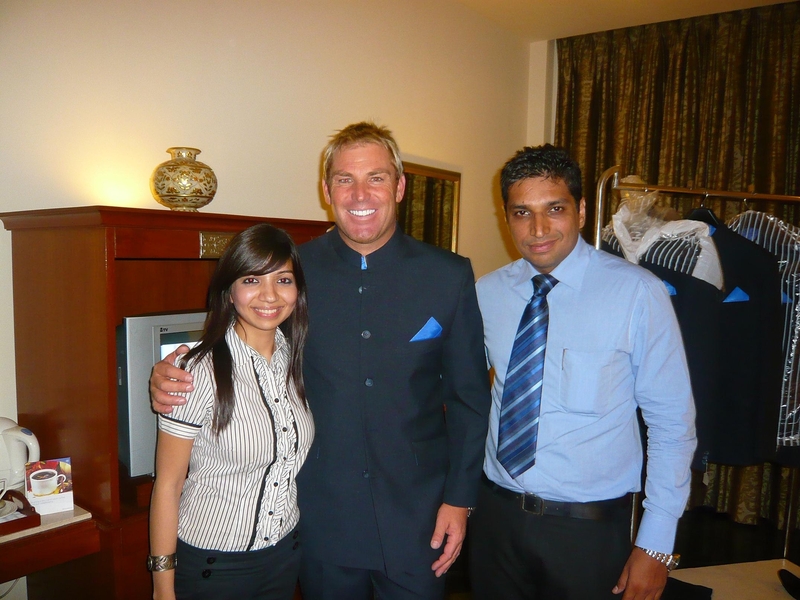 In a short span of time, Equos has already bagged an esteemed clientele. “We are the official manufacturers for the merchandise of the AFL (Australian football league) and have also designed corporate wear for the Rajasthan Royals team at the IPL launch and for Bollywood celebrity Shilpa Shetty,” says Rashi. The SYB Program was undoubtedly beneficial to Rashi in many ways. The course provided her with a lot of insights on entrepreneurship. What’s more, it also enhanced some skills needed for the same. “My finances have got stronger. It has enhanced my leadership skills, creativity and an extreme desire to succeed in my own business. Starting one’s own venture is never an easy task, but a formal training has taught me the nuances of the journey,” states Rashi. This confidence acquired from the course and her success in her own enterprise, show in her general approach toward entrepreneurship. Her message for all start-ups is “Don’t lose heart when people tell you your idea won’t work. Energize yourself by drawing energy from people and ideas around you. Being an entrepreneur is like being immortal, because you leave a footprint behind. So go for it!” she concludes. He’s an entrepreneur, who doesn’t believe in giving up or “growing up”. Asif Upadhye, who graduated from the Batch 07 of Start Your Business Program, is today, successfully, steering his own start-up Never Grow Up to new heights. Prior to the course, he has had experience in Marketing and Product Management for over seven years. He says, “One of the most valuable sessions for me at SYB was the first one on ‘Discovering your Passion’.” This session, undoubtedly, gave him the necessary impetus to pursue his own dreams and take the leap. His venture called Never Grow Up is a unique concept that works on the fundamental principle, that everyone has a child in them and hence it’s important to view life and work in a fun way. Never Grow Up is a Fun @ Work and Employee Engagement company that is into fun talent-building workshops for those perpetually busy in 9-5, 6-day week schedules and are unable to make time to pursue their dreams. Interesting subjects like photography, archery, recycled art, theatre, bartending, creative writing and finance (amongst others) are tackled in these workshops. Never Grow Up strongly believes that Work can be Fun and that by taking action and making fun a priority in the work place, organizations can excel in areas where challenges and problems have been the norm. They do this by introducing and teaching interesting games and learning concepts through innovative methods for corporate/s at large. These workshops and activities build trust, enhance team-building and motivation and help employees maintain work-life balance. Another unique feature of this enterprise is that it facilitates the designing of the workspace of any individual, since that is where every person spends a majority of his time during the day. In addition to this, Never Grow Up resells wacky and funky merchandise, from some of the most popular brands across the country. And if this is not innovative enough, Never Grow Up also invites new designers and novel ideas from creative minds and pays them for it. As a CSR activity, Never Grow Up is associated with Smile, an NGO to better children’s education. Here, Asif and his team invite people to contribute to a very noble cause and also make a small contribution themselves each time they receive something. They have a fun and lively site http://willnevergrowup.com/en/ with a casual tone, but are all set to revolutionize work life by making it fun. 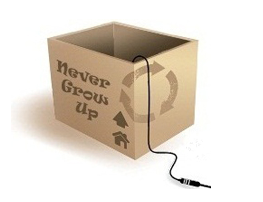 The concept of Never Grow Up has already been well-received by critics and clients alike. The vision: “The most important start for an entrepreneur is to set a goal and define a purpose,” says Sandeep Hariani. His own goal was envisioned in 1996 when he decided to start a business of his own. After working with several companies and serving in different positions — a programmer, people manger, relationship manager, location head, CIO and resource manager — Sandeep finally gained the required experience to run his own company. His venture Vzone Consultancy, Learning Academy and Staffing Services (VCLASS), coaches and mentors students to bring them at par with the high standards expected in today’s tough, competitive and extremely globalised work environment. “I found that the quality of graduates that are coming out of colleges was way behind the expectations of the companies that hire them. Also there is a need for foreign language training with businesses going global and thus, we decided to include that service as well. Vzone’s USP: VCLASS has a wide range of offerings for graduates just about to enter the workspace. It conducts workshops on communications, effective business writing, resume creation as well as information on various cross cultural issues while doing business with other countries. The venture also imparts consultations on working effectively in organizations, reducing stress, anger management, dealing with customers, delegating work and enhancing teamwork. Translation services for different languages as well as modules on entrepreneurship like creating business propositions for VCs are some of the other services offered by VCLASS. Say Apurva Sacheti & Subhobrata Sengupta, two young entrepreneurs, who have just started their first venture “Krostini”. It’s a fast-food restaurant, serving veg and egg-based preparations. Both from Start Your Business- Classroom Learning Program, batch-07, feel that the course made them more efficient at calculating risks and keeping a plan B at the back of their minds. Also, the course helped them get the mental strength through association with like-minded people. 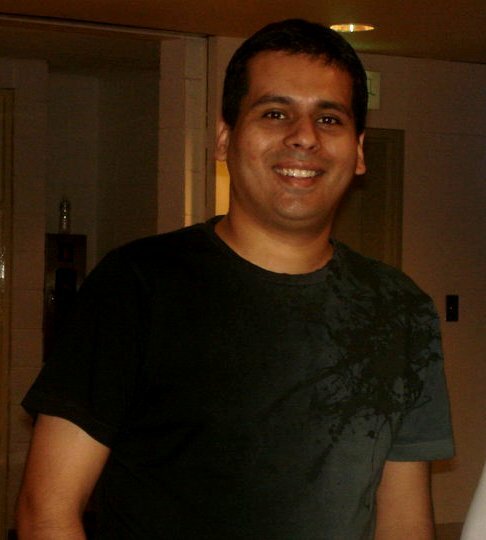 Apurva: I graduated in Electronics Engineering from BIT MESRA (2009), and was then working with Dial 1298 for Ambulance. 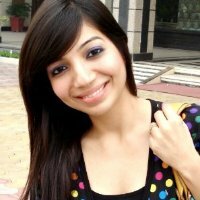 Subhobrata: I have done my PGDM from SPJIMR (2004) and was then pursuing a sales and marketing career, looking after the Branded Retail channel for eastern India at Nokia. How did you go about starting your venture? Apurva & Subhobrata: Joining SPJIMR’s Start Your Business- Classroom Learning Program was the first step which we took to transform our dreams into reality. That’s the place where we both met & our wavelength matched and we decided to start our own venture post the completion of the course. After the course got over, we did a small consumer research and also looked at the pros and cons of starting our restaurant project in Mumbai & Pune. We decided upon the latter and moved in to Pune. Then we looked at real estate options across several areas that had a sizable population of our target consumers. Finally, we engaged a hospitality consultant after securing the property and started working on the project. We took about six and a half months from the completion of the Start Your Business course to get the project off the ground. What is your message to aspiring entrepreneurs? Apurva & Subhobrata: Be prepared for the long haul. Results may take a long coming. Mobilize your resources accordingly. Plan for delays, cost escalations and failed sales targets. Be prepared for a lot of sacrifices, especially in your lifestyle and work-life balance. And never let disappointments demotivate you. You may not be lucky enough to get too many external sources of strength and motivation. The core strength should come from you. Why do you think an aspiring entrepreneur should join this course? I think an aspiring entrepreneur should join this course for a the network of entrepreneurs and mentors it introduces you to. It also helps you take certain crucial decisions about starting off in a better manner and for developing a more entrepreneurial bent of mind. The journey of an entrepreneur is a tough one. Long days of waiting, erratic markets,moody employees and difficult-to-please customers can, together, test your tolerance and level of grit and determination. 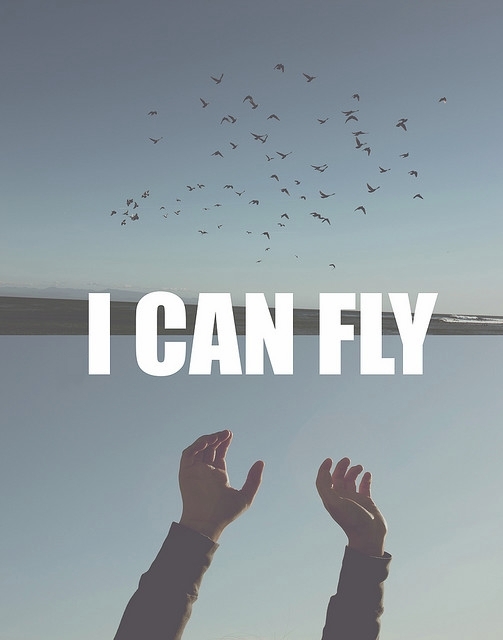 But entrepreneurs can make their flight to success more joyful by inculcating certain essential traits. Listed here are the top 10 qualities that arespotted in cutting-edge entrepreneurs. 1.An entrepreneur has immense self-confidence and courage: In a recent interview, Richard Branson, founder of the Virgin brand, said that it is not only important that you love your business, but it is also important that others love it. An entrepreneur’s love for his work and company essentially emerges from his love for himself.This, in turn, boosts his self-confidence, making him more courageous,adventurous and risk-taking, and ultimately giving him the will to fight all odds in his entrepreneurial journey. 2.An entrepreneur combines self-discipline with freedom: While an entrepreneur’s life can start out being quite loosely structured, what makes the more successful ones stand out, is their ability to create a structure or discipline in that chaos. An entrepreneur too has to set certain goals and targets, but work around them with a certain freedom of movement. Though most entrepreneurs start out with flexi- hours, as they progress, they realize that they are better equipped to meet both client and market demands if their days are regulated and disciplined. 3.An entrepreneur patiently waits it out: It’s a trait of paramount importance: The early years of any start-up can be some of the most trying years of your entrepreneurial journey, often making you question your decisions, the strengths of your venture and the market’s reception to it. But it pays to stay the course and wait out turbulent markets or other obstacles in your path. And this normally results from your passion for and confidence in your venture. But striking a balance between complacence and aggression is crucial: don’t get so patient that you miss out on important clues and don’t get so aggressive that you promote your product excessively. 4.An entrepreneur chooses good teams: Most successful entrepreneurs realize the importance of a good team. They actively look for the right people who have similar values of work and share aligned interests with the venture. Moreover, they realize that their team too should have inherent entrepreneurial traits to take the venture forward with a sense of ownership. But more than having a good team, they also realise how important it is to be a good team player, highlighting the strengths of each individual and motivating them toward newer goals. 5.An entrepreneur has an early bird advantage: In order to be on top of the market, it is important to be there first. A successful enterprise is often one where the service or product offered is one the first of its kind in the market. Thus, foresight and a good analysis of market trends will help you discover missing gaps and create your own niche product. 6.An entrepreneur is agile and adaptive: A good entrepreneur has to be extremely responsive to market movements and dynamics. If a particular product or service doesn’t seem to be hitting the right chord with the consumer, the entrepreneur should be quick to reinvent it or create some value-added feature. In a service- oriented sector, the customer’s satisfaction can be achieved only after closely understanding and adapting your service to the client’s needs. For this, one may need to have a wide range of products and services that could fit various customer needs and styles. Thus, being adaptive also includes having a wide repertoire as well as a wide network. 7.An entrepreneur is at the right place at the right time: This trait is often the result of actively networking and promoting your product. While it is important to know your product, it is more important to know who your products can be sold to and where. This information is often got by actively communicating with prospective clients, partners, service providers, venture capitalists, etc. Thus, one of the ways of being at the right place at the right time is by constantly pushing your product or service to the right people. 8.An entrepreneur keeps his ears open: Good entrepreneurs, like good bosses, are known to be good listeners. They listen to their teams, listen to feedback on themselves, listen to suggestions, listen to the market’s calls and listen to ideas. The only way to enable more inclusive growth is by giving every employee a chance to be heard. This indirectly also enhances two-way communication in teams and companies. Thus, being able to listen is an imperative quality of every entrepreneur. 9.An entrepreneur takes tough calls: Very often, an entrepreneur is required to take tough and quick decisions. One of the keys to making good decisions is by staying calm and collected. Some of the questions that can be asked while making important decisions are: Is it good for the company; is it good for the employees; is it good for revenue and is it good for brand perception. 2.It’s all in the pitch: A great pitch is not necessarily a clincher, but it sure sets the impression and the tone for future meetings. A venture capitalist uses the pitch as a gauge for everything about you and your company. It is more than just facts and vision; a pitch also displays your passion toward your enterprise. Most venture capitalists use this time to pick up signs on your personality, confidence, knowledge, intelligence and even your ability to lead your startup to success. 3.The presentation: A PowerPoint presentation of approx 10-15 slides will help you make a decent one. You could also use Guy Kawasaki’s rule of 10-20-30. A 10-slide presentation that takes approximately 20 minutes and uses a font size of 30. Your presentation should cover several questions that are often expected by VCs like what your business plan is; details of your product, your market and why you have the competitive edge. It can also address questions like why are you raising capital, how you will invest it and who makes up your team. 4.Showcase your product/service: One of the most powerful ways of showcasing your product is by displaying it to the VCs at the pitch. Take along your product if you have a prototype or a working model. Not every company may have such an obvious way of demonstrating its product during the funding process, but you could find other ways of doing this. 5.Approaching VCs: While you may get an appointment with a VC through a cold call, it always works better if it is arranged through an introduction from someone who the VC knows and trusts. The more credible the introduction, the more likely you’ll get a response from the VC. Thus, networking plays a big role in finding the right people. 6.Background research: Do your homework on research firms and the companies they have backed. During the pitch, make known that you have taken the effort to know about the background of the VC as well as the history of the company and its previous funding patterns. This will help you personalize your pitch and show that you care about working together. 7.Display frugality: Make it known to VCs that you have got by with using minimum resources so far. This shows your prudence while running your business. The amount you’ve used so far determines your approach to the investment that will come in. 8.Have an exit strategy: It’s important to know who will buy you when the time is right. Most VCs are looking at who will acquire the company they invest in and for how much as this is the ultimate test of their investment. Thus, have a list of probable buyers in mind and talk about this during your pitch. This approach needn’t only be used for Vcs, but also for angel investors. All these points together will enhance the prospects of bringing in money or business from different avenues. So think smart and be prepared to go for the kill!